La Ciudad de San Cristobal de la Habana: cont. .....Please take few minutes to explore the unknown world in pictures…. Let’s take a walk along the streets, join the crowd (you cannot see it here but believe me - streets are full of people), indulge in a fiesta of Hemingway’s favorite daiquiri in La Floridita... just take your time…..
Our rented room was quite small and simple even by modest standards - it offered just the place to sleep. It gave us however the precious opportunity to share some time with the owner’s family instead of spending the time in front of TV in some “name-less” luxury hotel where you meet with the “smiles of politeness”, but in reality you feel alone in a crowd. And most importantly – our goal was to be on the streets, enjoying not only the warm climate (those facing Canadian winter know well what I’m talking about), but also enjoying all what happens on the streets. On the left- Photo of the tree growing from nowhere.... well, actually from the wall of the building! From the left - Picture of El Capitolio with one of two statues by Angelo Zanelli flanking the central steps. Plaza de la Revolucion with Jose Marti Memorial (highest point in Havana City) and the most recognized iconic picture: Ernesto Che Guevara. Believe me – Havana’s streets are living their own lives – streets fiestas, music coming form everywhere, these old “dinosaurs” cars you will see later on the pictures…. such a vibrant and colorful mixture of everything…. 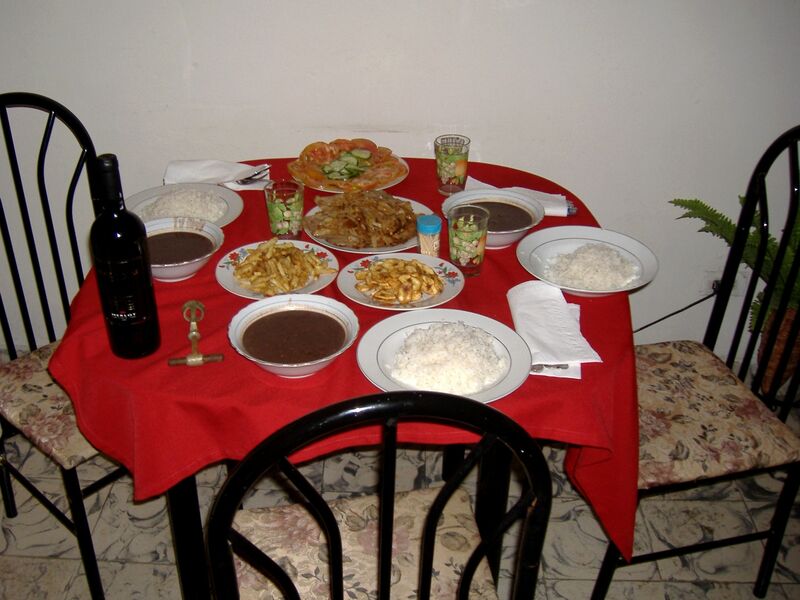 For us this dinner table in our hosts' apartment looked as impressive as in an upscale restaurant. Cubans are as warm as the island’s climate, open, ready to chat and to share what they have even if they have quite little for themselves (by our standards). Our hosts were not an exception - making for us a dinner in their little apartment and at the end of our stay offering us a gift with very touching dedication words. I’m sure most of you experienced receiving something from those belonging to the “Have Not” part of the society. And you know that by offering even small “thing” they offer all they have – their hearts…… Havana city in pictures wouldn’t be truly reflecting the streets’ atmosphere without mentioning its cocktail bars. 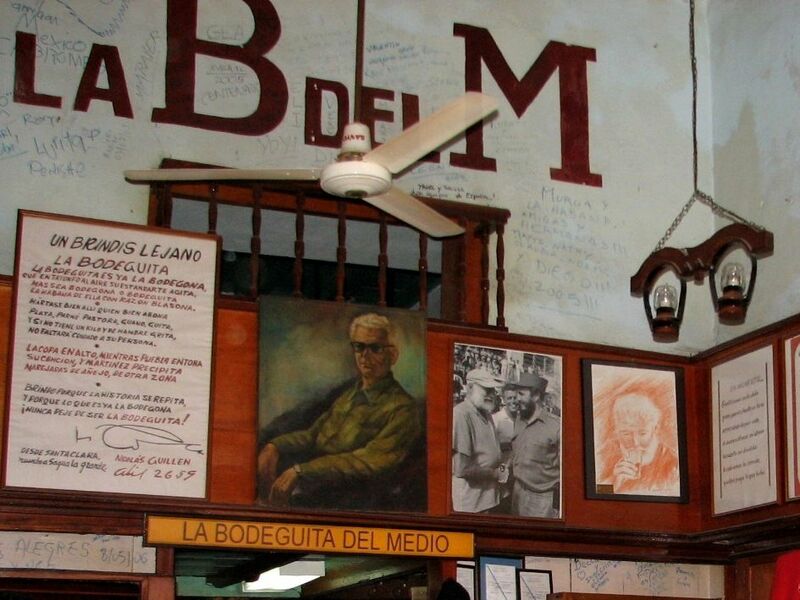 The most famous is probably La Bodeguita del Medio. It is probably easier to write down whom these walls did not see from the ranks of “famous” of this World than the other way around. 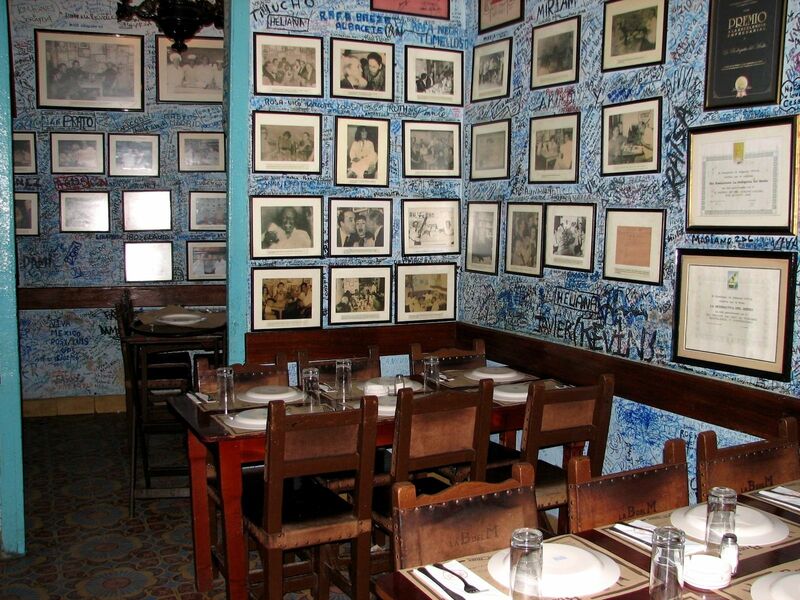 Walls full of pictures, memories and signatures are generously exposing Bodeguita del Medio’s past to the visitors. Kings, dignitaries, diplomats, writers, actors – you name it and of course apparently the only picture capturing together Ernest Hemingway and Fidel Castro. But the real beauty of the B del M (as it is called shortly) comes from the fact that it is so easily accessible for everyone, welcoming not only famous celebrities but also those like myself – a humble guy known only to my family and small circle of friends. 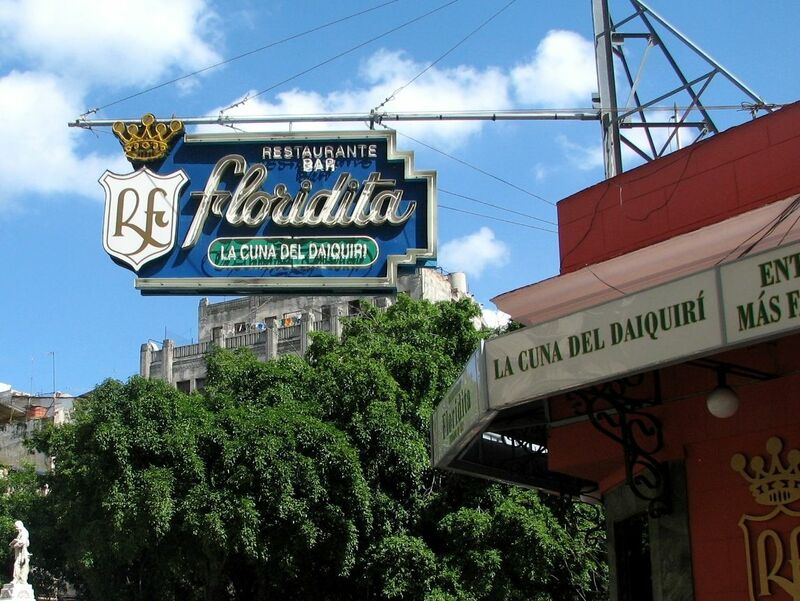 The another famous spot – La Cuna del Daiquiri known as La Floridita and Hemingway’s favorite place (please see the next page dedicated to Hemingway's Havana time). What about a "little cocktail" with Hemingway....? 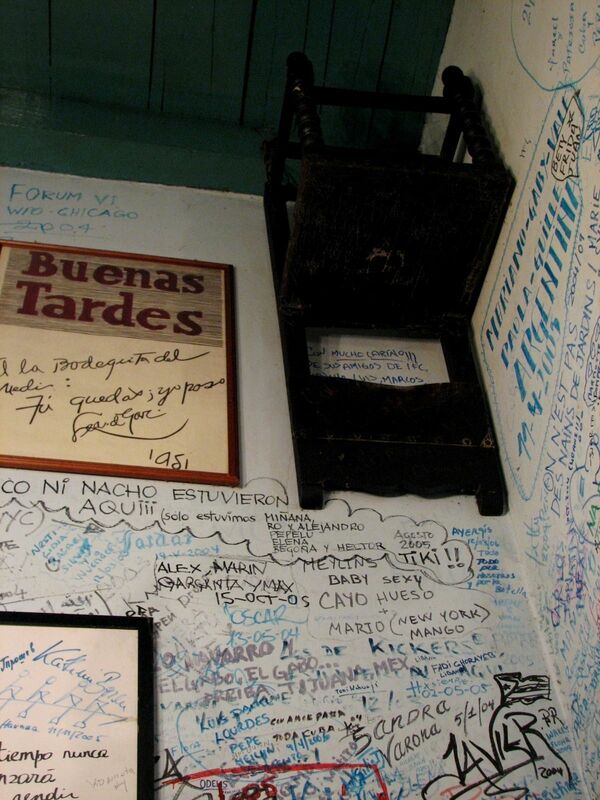 Well, then you have to follow the Hemingway's trail in Havana!